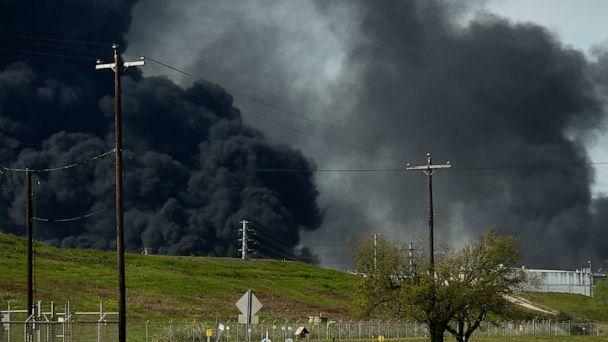 Texas has filed a lawsuit against a company where petrochemicals burned for days and sent thick, black clouds of smoke wafting over the Houston area. 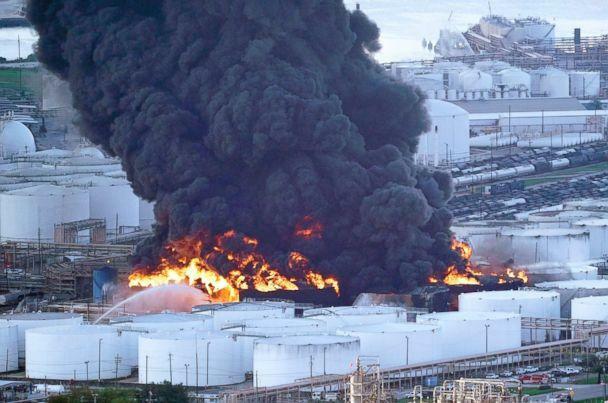 Attorney General Ken Paxton announced the environmental lawsuit against Intercontinental Terminals Company on Friday in order to seek "injunctive relief and civil penalties" in connection with the fire. The fire, which began last weekend, briefly reignited at the same time Paxton was announcing the suit. 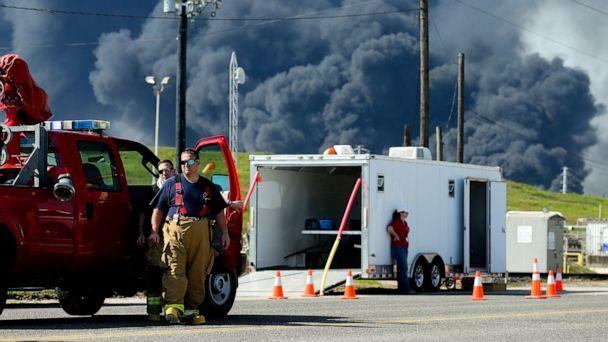 The company is involved in the production of gasoline and the fire released multiple chemicals in the air, including benzene, according to the attorney general. The Environmental Protection Agency said Friday morning there had been no detection of benzene in the air as of Thursday, however, it's unclear if the reignition changed that. "The state of Texas works hard to maintain good air quality and will hold ITC accountable for the damage it has done to our environment," Paxton said in a statement. "ITC has a history of environmental violations, and this latest incident is especially disturbing and frightening. No company can be allowed to disrupt lives and put public health and safety at risk." "ITC cares. We care a lot," a teary-eyed Alice Richardson, Intercontinental Terminal Company spokesperson, said Thursday. "We have been good stewards, we've been good neighbors. ... We will fix it and we will make this right." "Due to the dynamic, ongoing investigation of this incident, only air quality violations have been cited in the state of Texas lawsuit against ICT, LLC," Texas Commission on Environmental Quality Executive Director Toby Baker said in a statement. "Any additional violations, including surface water quality, will be referred to the Office of Attorney General for civil enforcement as part of this action." ABC News' Stephanie Ebbs and Matthew Fuhrman contributed to this report.